Posted on February 25, 2013	by Alice C.
I want this book. It is very expensive, but that is to be expected considering the extensive color illustrations and the fact that it is nearly 600 pages. 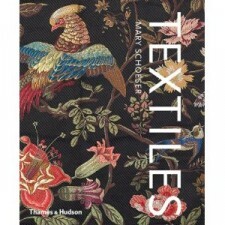 This is a showpiece of a book, and a must-read for anyone serious about textiles. Textile Artist has a brief review with some additional illustrations. Maybe a birthday splurge gift? This entry was posted in Books and Reading and tagged books, reading, textiles. Bookmark the permalink.